HZ 2018 - 6. INVESTORS DEAL!! Een commercieel gebouw met o.a. een restaurant en ook een bakkerij met in totaal 5 commerciële units en 5 appartementen erboven. Het is te koop in een NV (dus alleen een share transfer). 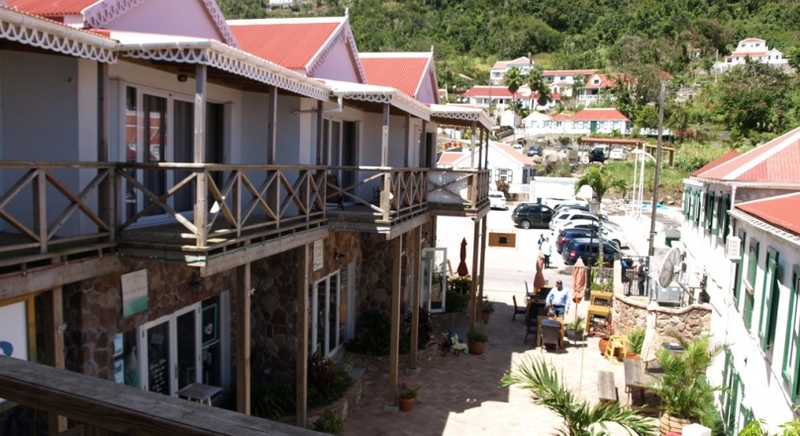 Breadline Plaza is located in the heart of Windward Side, on the main road going from the airport to the harbor on Saba. Breadline Plaza consist of 5 Commercial units with leases varying between 2 and 5 years. Units have been occupied 100% from completion of construction. Each unit has separate water and electricity and clients are charged monthly for their utilities. Part of these monies is net profit to Plaza owner due to cistern set up. Breadline Plaza has 5 residential units on the second level. All units have been occupied for virtually 100%. 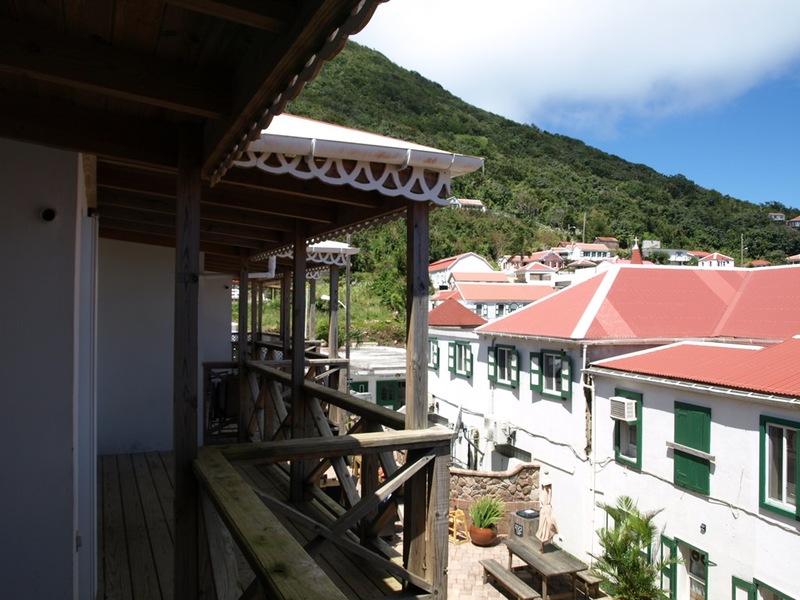 Every unit has high ceilings, tiled floors, wooden kitchens, modern bathrooms and a balcony with a view. All have been consistently rented fully furnished. 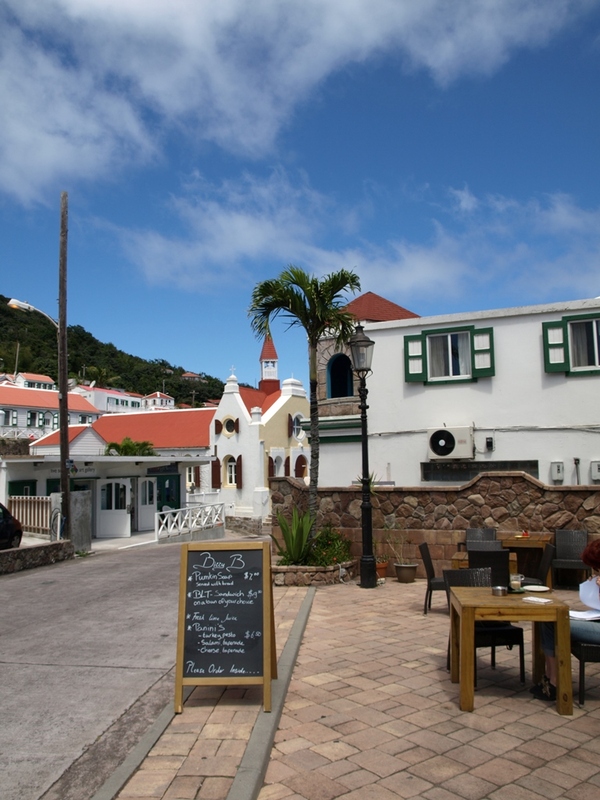 The Plaza has 5 private parking spaces plus across the main road is the community parking lot at the tourist office. Breadline Plaza is a commercial building held in an NV and it was constructed by the current owner, construction finishing in 2012. The Plaza is constructed from concrete with additional rock features. Finishes include high end European windows and doors, insulated zinc roofs. Additional features include a 50.000 gallon cistern (2 sections), 80 KBW back up generator and extra wide specifically designed valley gutters for water collections. 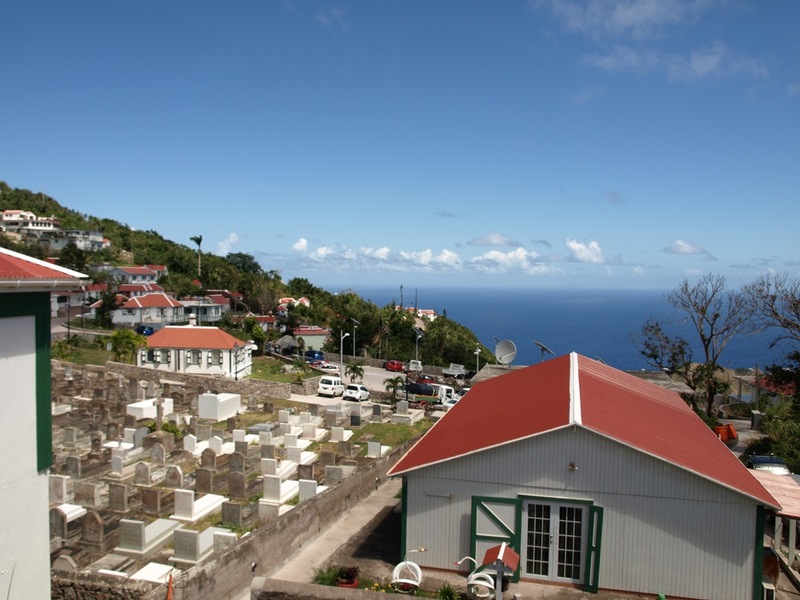 Buildings sustained MINIMAL DAMAGE during hurricane Irma or Maria! Besides the 3 buildings the Plaza conists of a welcoming terrace (+/- 20) and deck (+/- 20) seating and separate bathroom facilities . Breadline Plaza is locally knows as the place to meet for breakfast, coffee, lunch and dinner. 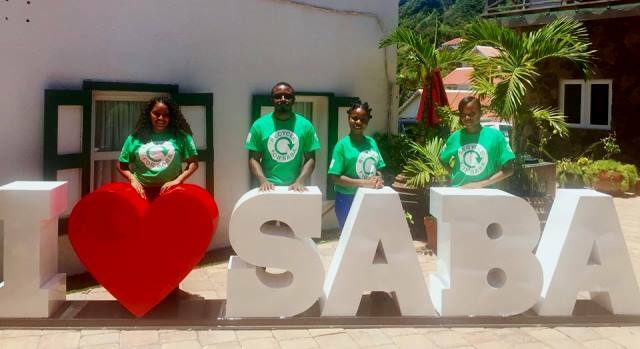 The Plaza is also the owner of the rights to the “I Love Saba” sign located in the center of the plaza which definitely draws a lot of toursist. An asking price of $2,1M provides a NET ROI of 7%. Sellers are motivated to sell.